It’s fame is the result of it being constructed in Sranford hospital whilst I was undergoing a BMT. The loo paper roll was “donated” by the senior doctor on the BMT unit!!!! Be that as it may – I was rummaging through my VERY large trove of photos and among them I found two photos of signs accompanying an outhouse that I took when visiting Lake County many moons ago. Rather than just post the two photos I started cruising the ‘net for “Outhouses” and discovered an article on a site called Cottage Life. The article is entitled, “10 things you probably didn’t know about houses”. I was mega intrigued – I mean who wouldn’t be? Here’s extracts from the article that really tickled my fancy. “…….. while most cottagers shudder at the thought of outhouses, others find them fascinating—so much so that outhouses are studied, restored, raced, and even stolen. 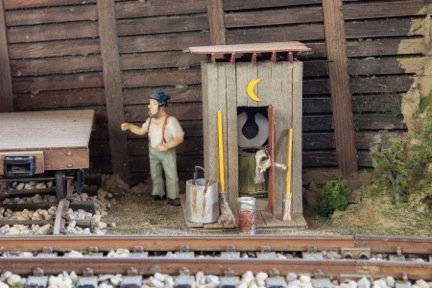 John Loose has learned a lot about outdoor toilets since launching the Outhouse Tour of America in 1997, an online collection of hundreds of random facts, photos, and stories about outhouses from around the world. He’s been interviewed for a Wall Street Journal cover feature, and even invited to England by descendants of British toilet entrepreneur Thomas Crapper. There’s meaning behind the moons and stars that you find on outhouse doors. Outhouses in the past often had more than one storey. Believe it or not, high-rise outhouses actually existed, like the preserved two-storey “skys-crapper” that still stands in Gays, Illinois. 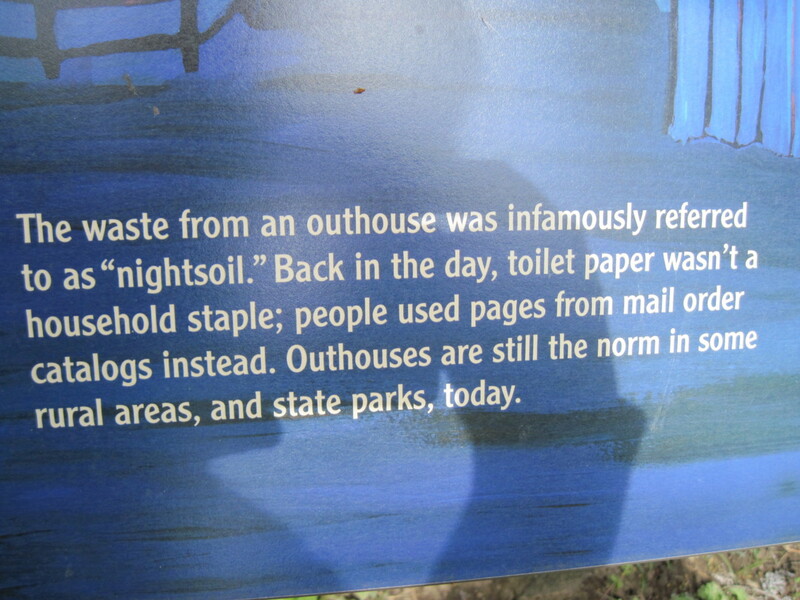 “Back in the old days, they had two-storey hotels in towns so they would build two-storey outhouses,” Loose explains. “On the upper floor, you’d go back in a little bit further than the outhouse below.” Waste from above would fall down a shaft behind the first-floor loo’s wall, allowing for a seamless flow of sewage. An even more elaborate example can be found in the Missouri History Museum archives, where they have photos of a three-storey outhouse that served 12 families. 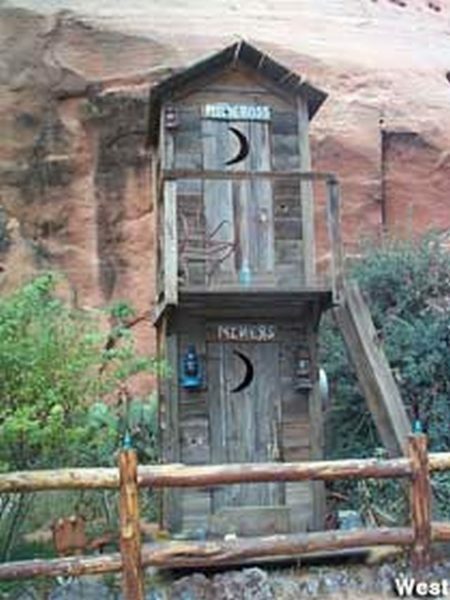 2-story outhouse, Hole N’ the Rock, Moab, UT. 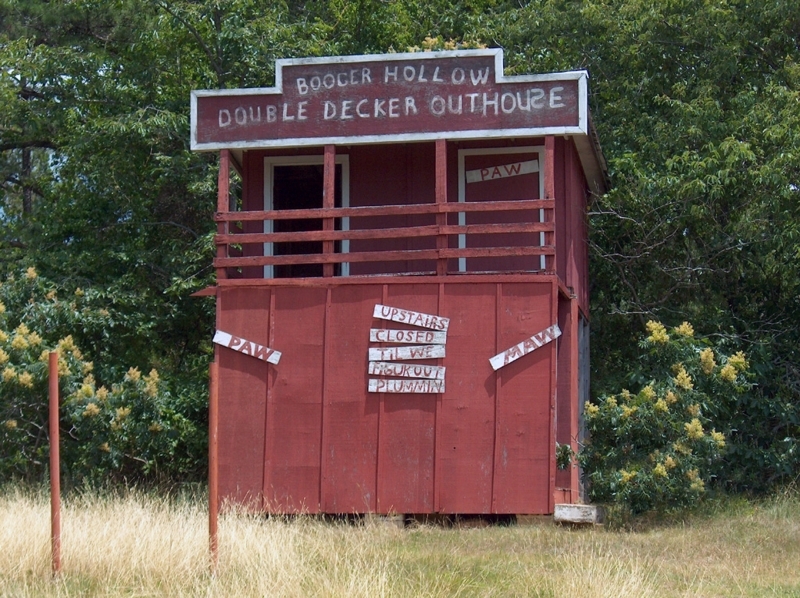 Have you ever used an outhouse that had two seats and thought, “Huh?” Turns out, traditional two-seater outhouses have two holes for different-sized behinds: a bigger one for adult bottoms and a smaller one for kids. There’s an outhouse capital of the world. It’s a curious claim to fame but American town Elk Falls calls itself the outhouse capital of Kansas (and even the world). On the Friday and Saturday before American Thanksgiving, Elk Falls holds outhouse tours that promise “an outrageously ‘moving’ experience,” as people wander through wacky homemade outhouses and vote for their favourites. 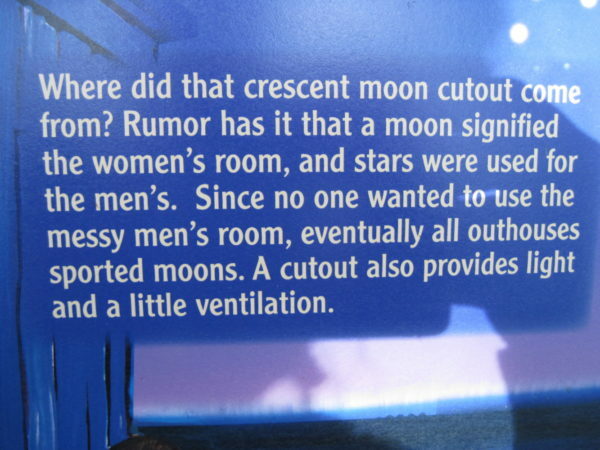 Last year’s winner was the very pink “pretty privy” with lace curtains and a frilly table lamp. There are outhouse races. Outhouse racing has become a popular sport in small towns around the continent, including Trenary, Michigan where they’ve been racing them for more than 20 years. 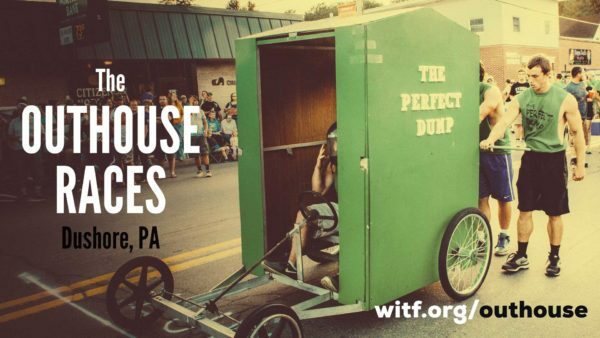 The annual Trenary Outhouse Classic is held on the last Saturday of February and contestants construct outrageously-themed outhouses then push them across the snow. This year’s winners included the Who Cut the Cheese outhouse, the wolf-themed Let Your Bowels Howl, and a wrecking ball-shaped outhouse. How could I have lived for three score years and many more and not known???? The mind boggles.